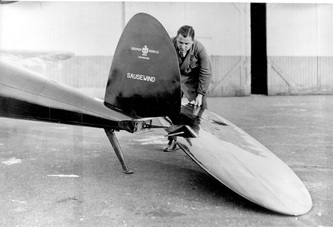 The "Sausewind" design was created by the identical twin geniuses, Walter and Siegfried Günter. 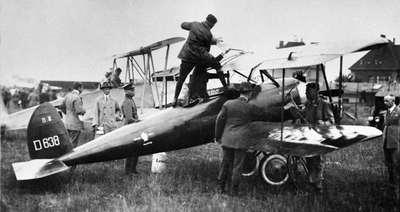 The Günter brothers decided to become aircraft designers when Blériot crossed the channel 1909. 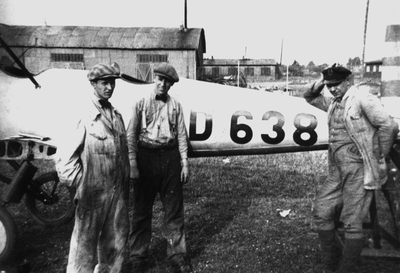 They started their studies at the Technical University of Hannover in 1920. Walter, the "design artist", however, does not finish University as he realizes it has nothing more to offer to him. He joins Paul Baeumer, a German Pour-Le-Mérite Ace of World War I fame at his Fuhlsbuettel-Hamburg Bäumer-Aero GmbH (Baeumer Aircraft Works), founded on november 7th, 1922. Walter, the mathematical talent joins them two years later after completing his studies. 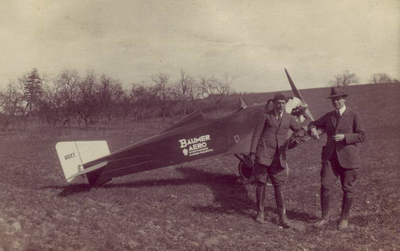 Bäumer's aerobatic, 2-seat monoplane tourer "Sausewind" (Swooshing Wind) and the sibling biplane design "Alsterkind" (Child of the Alster - the Hamburg river) are the Günters' brainchildren. The Sausewind can probably be described as one of the first truly modern aircraft. 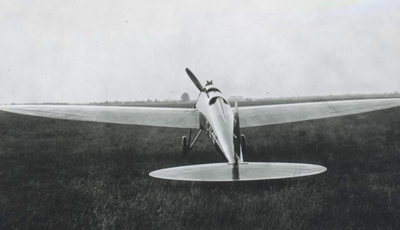 A fully streamlined, monocoque fuselage hiding the 3-cylinder engine arrangement, elliptical wings and elliptical, flying tail surfaces, the absence of wing braces, an advanced undercarriage (no cross-member in order to avoid summersaults in long grass; individually sprung and dampened struts within the wing attach point), self-attaching control connections for a removable empennage, an internally sprung tail skid and many added features combine to create a highly innovative aircraft that wins victories in noted competitions and sets a number of world records between 1925 and 1927. 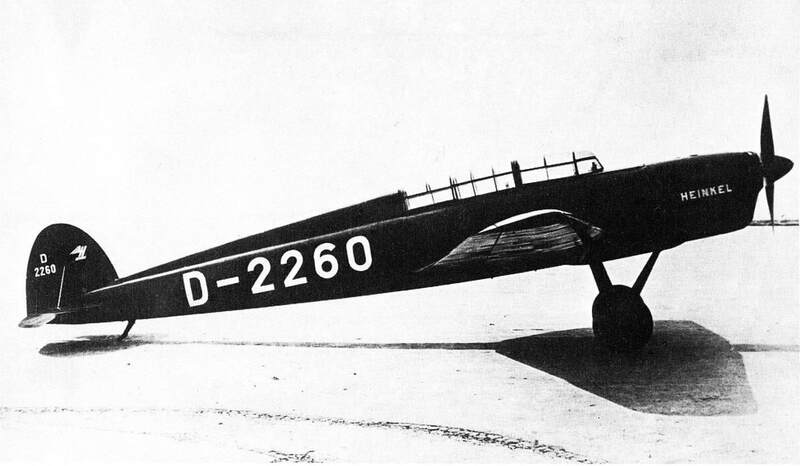 Faster than most fighter aircraft of its time, this aircraft can rightfully be described as the father of all "Schnellflugzeuge" (fast aircraft) later designed and built by Ernst Heinkel after he hired the two geniuses to team up with Heinkel's chief designer Karl (Karlchen) Schwärzler. 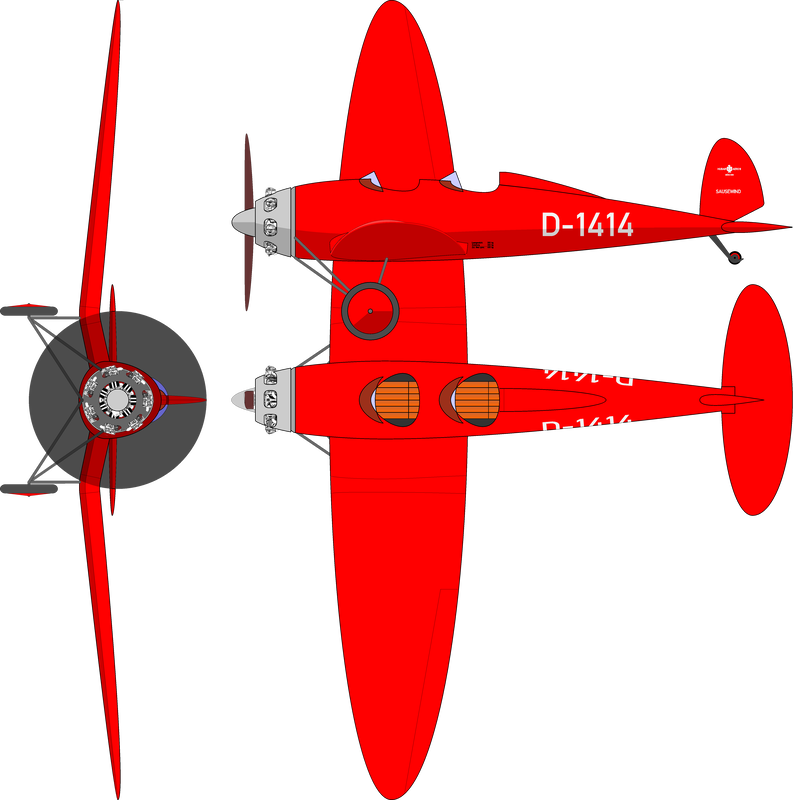 It sets the tone for aircraft such as the He 46 Sports Tourer, the He70 fast mail aircraft, the He111 fast medium bomber, the He 112 fighter aircraft (and competitor the Me/Bf 109) and many other ground-breaking designs to later originate at Heinkel Flugzeugbau. 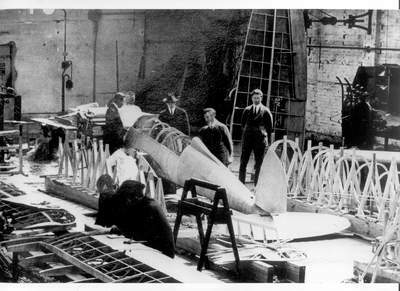 Beverly Shenstone, Supermarine chief aerodynamicist, is quoted as having said on the occasion of Ernst Heinkel's death in 1958, that the aerodynamic parameters of the He 70 were the basis for the iconic Spitfire design. Which means the Sausewind is one of the grandparents of the Spit ...? What is the fascination with the Sausewind? 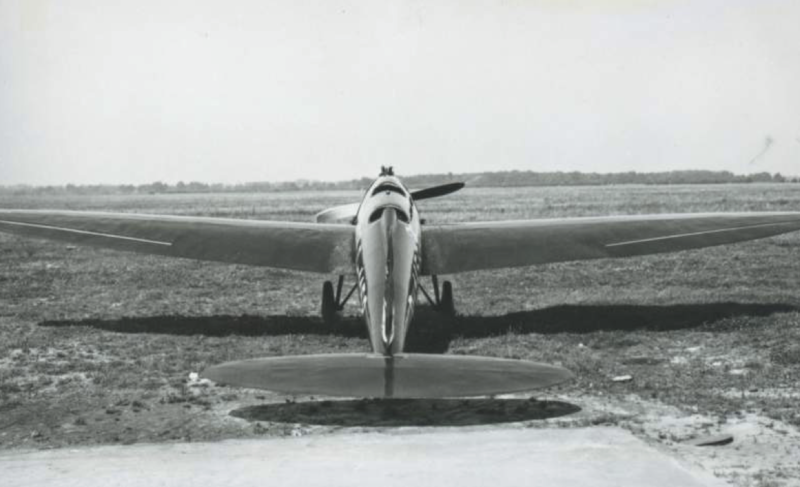 The actual reason for my fascination with this aircraft goes beyond the performance data. My father Robert was (among many other things) a flyer and aeronautical engineer. 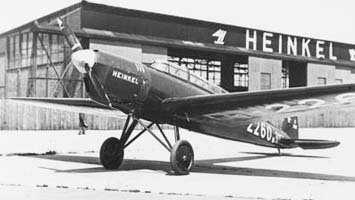 He started working for Heinkel in 1961, his first job after graduating from the Technical University of Aachen (Aix La Chapelle). 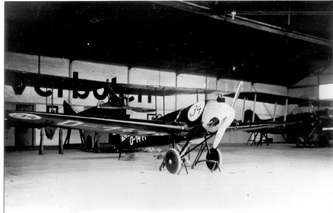 Heinkel had taken temporary "post war" quarters in downtown Munich (actually partly in offices belonging to the "Deutsches Museum" on the Isar Museum Island). 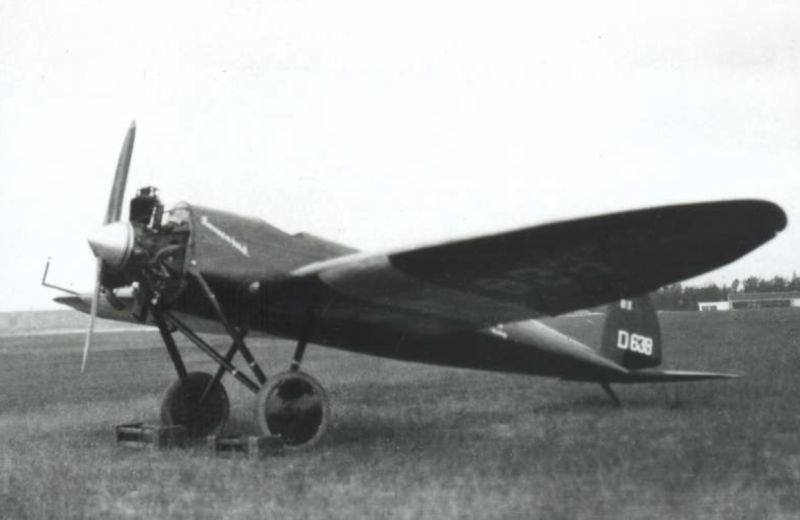 A gentleman by the name of Walter Günter at Heinkel took a liking to young Robert and began to mentor him. Thus my father may have been one of the last "general" aircraft designers educated in the old-fashioned art of being a "chief designer" who learnt the trade from the bottom up and thus possessed a consummate and unfailing understanding of how every aspect of aircraft design was entwined and interdependent on every other aspect of design which he later transferred to numerous aircraft who's procurement he oversaw, including the MRCA Tornado. I remember that my father had a red paper aircraft model hanging over his desk in his office in Munich in the 60's. 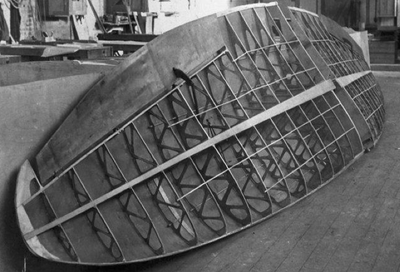 This was a model of the Bäumer Sausewind which he and a few colleagues had built for Walter on the occasion of a company anniversary. When Walter Günter died, that model went back to Robert and later ended up in my children's room where it unfortunately got "played to death" - I only much later understood hat this may have been one of the last connections of any Sausewind design document with Walter Günter himself, since all other Sausewind documentation got lost in the war. Now it may be exactly this photo. 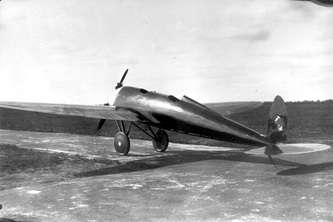 The only remaining Sausewind aircraft - after several were lost in accidents - was the permanent exhibit of the Bäumer B IVa Sausewind IV (D-1414, Ser.-No. 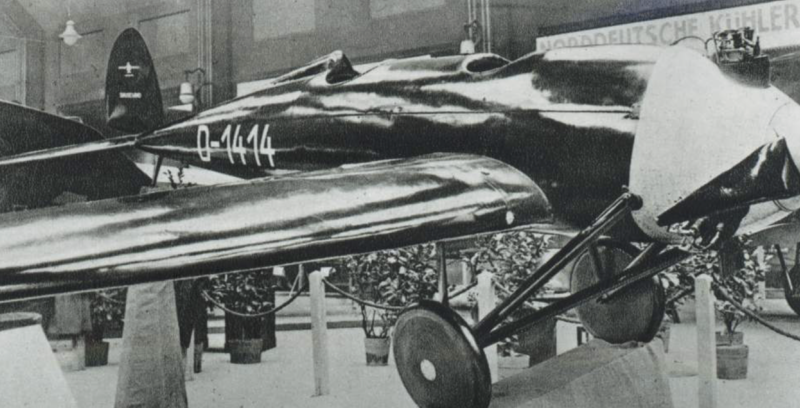 106) in the famed "Deutsche Luftfahrtausstellung" (German Aviation Exhibit) in Berlin. 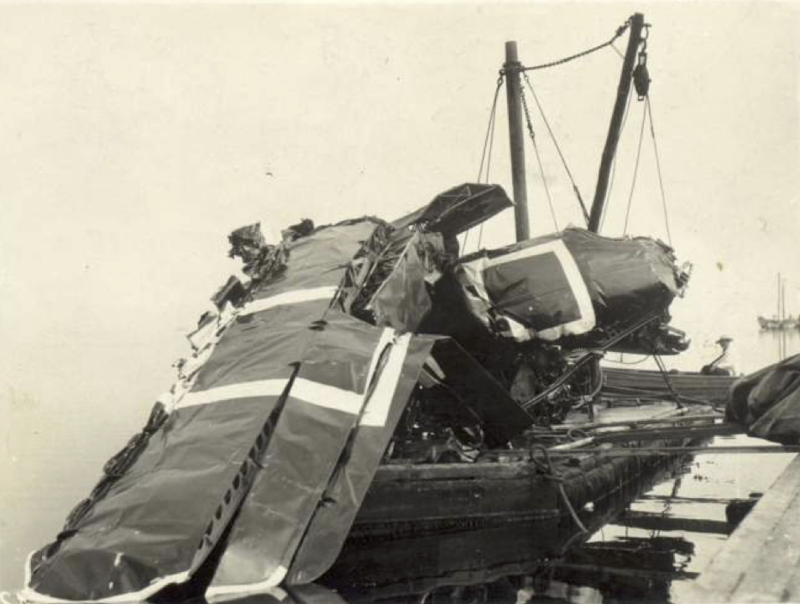 The artifacts of this permanent museum exhibit were evacuated from Berlin in containers towards the end of WWII and their trails get lost among many shunting yards and plenty of cloak and dagger intrigue during the last days of the conflict. 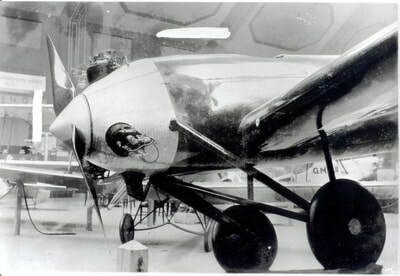 A substantial part of that museum's engine collection seems to be included in the Krakow aviation museum today, where at least one of the engines for the Sausewind design can be seen. 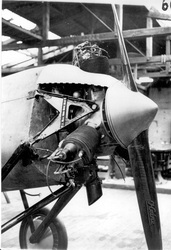 Another Wright L4 "Gale" engine can also be seen in the Deutsches Museum, Munich. 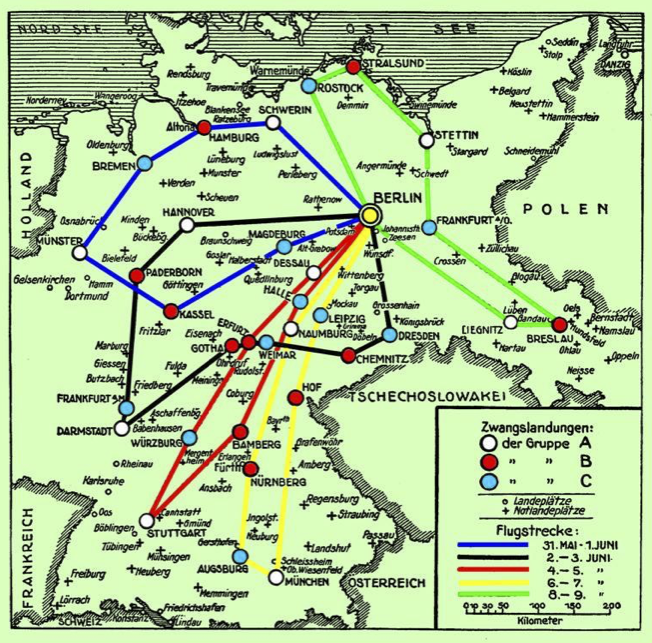 I am presently researching the Baeumer Sausewind (models BII, BIV and BIVa). I have conducted a number of reverse design studies from photographs. I am presently considering various design philosophies for a recreation. 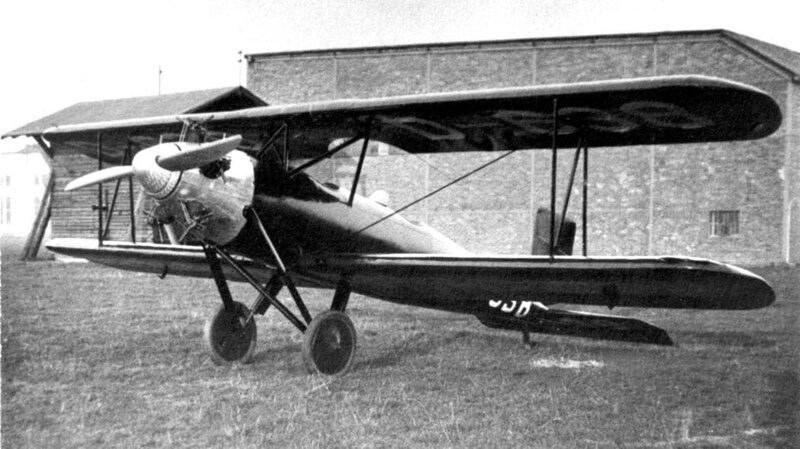 Since I am unable to recreate an exact historic copy (lack of plans and design details), my present thinking is that it would befit the Günter twins' approach to make use of contemporary materials and use the aircraft design as a template and create a carbon-fiber Sausewind V! Most of the following pictures are published by courtesy of the Deutsches Museum Luftfahrtarchiv (Deutsches Museum Aviation Archive) which made high-quality photographic reproductions of photographs in their archive for me. 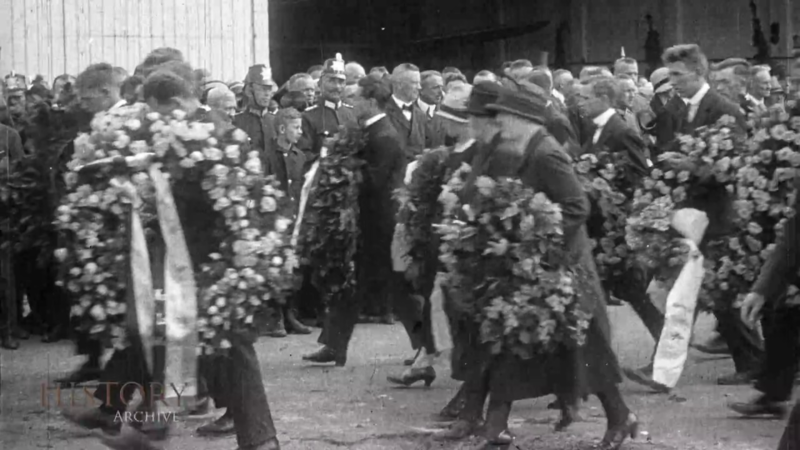 Die Werknummern 105 und 106 sind gesichert. Da die Bäumer Aero nur Einzelfertigung betrieben hat, lassen sich die beiden ersten »Sausewind« entsprechend ihrem Fertigstellungstermin gut in die Werknummernreihe einordnen. Die letzte Bestätigung für die Werknummern 101 und 104 fehlt aber noch. 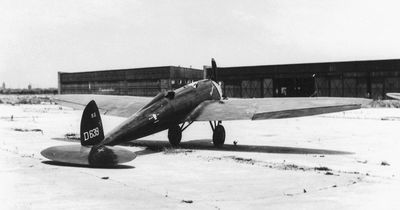 Serial numbers 105 and 106 are assured. 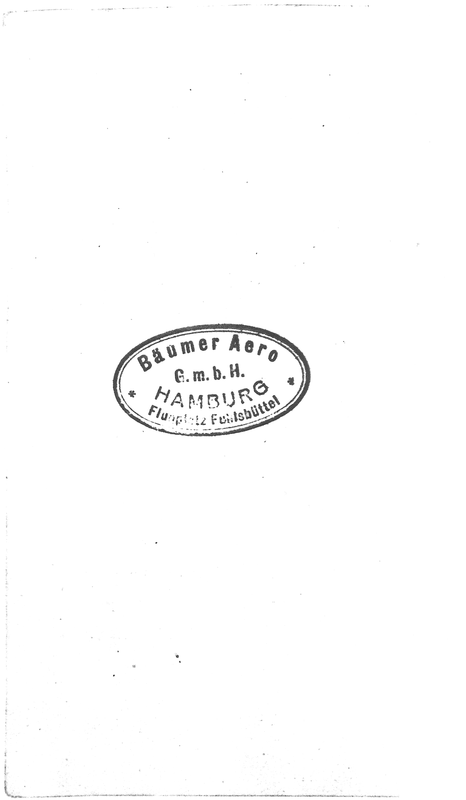 Bäumer Aero had no serial manufacturing. 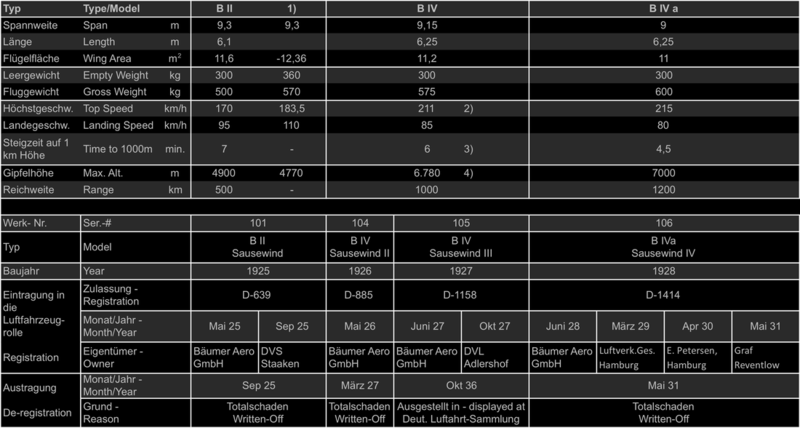 The first two Sausewind models can be placed logically in the serial sequence according to manufacturing date. A final confirmation for serial-# 101 and 104 is, however, missing. 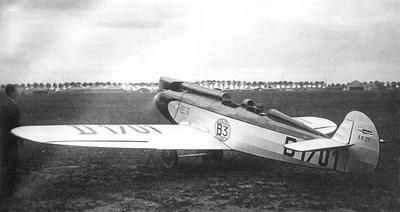 2) World Speed Record of 12. 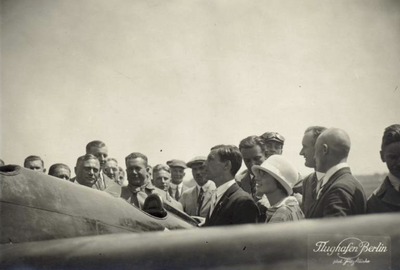 June 1927, 2 pers. Following two photos: ailerons extend to wing tip, making it a B IV; the cowling parting line, however, is low over the bottom cylinders - typical for the cowling on the first B II Sausewind; my guess: the B IV Sausewind II with the „old“, B II cowling fitted, maybe before a new one was fabricated. 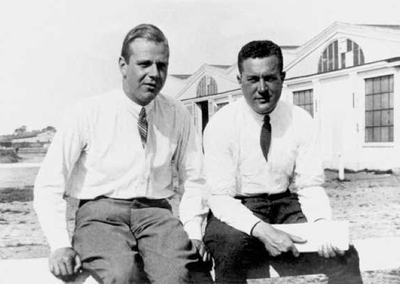 Dr. Siegfried Günter (8 December 1899 – 20 June 1969) and Walter Günter (8 December 1899 – 21 September 1937) were German twin brothers and pioneering aircraft designers. Walter was responsible for the world's first rocket-powered and turbojet airframes, projects funded by Nazi Germamny. Siegfried was the father of the "thrust modulation theory". Siegfried and Walter Günter were born on 8 December 1899 in Thuringia. 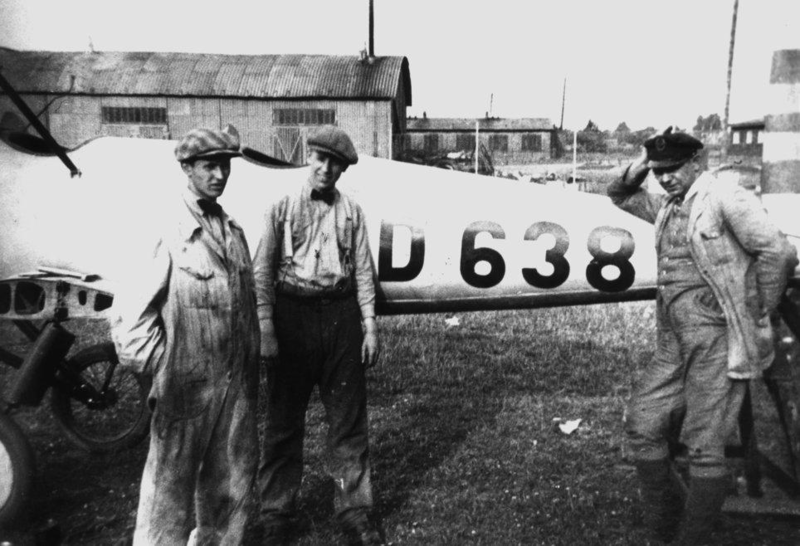 Avid flight enthusiasts, at 16 they had developed their own propeller theories. 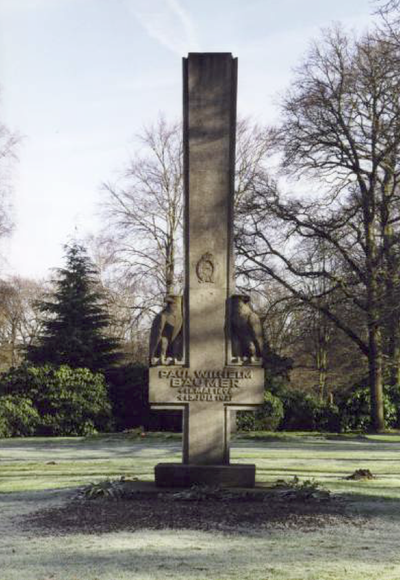 Both served in the First World War, where they were captured by the British Army and each became a prisoner of war. 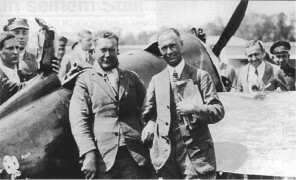 The brothers would be educated in mechanical engineering at the Institute of Technology Hannover, specializing in aircraft design and aerodynamics. 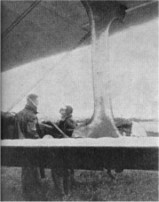 It was there that Siegfried designed his first aircraft with fellow students Walter Mertens and Werner Meyer-Cassel, the glider H 6. Their talents were first recognised by Paul Bäumer who was impressed by the performance of the H 6 when he saw it being flown at Wasserkuppe. 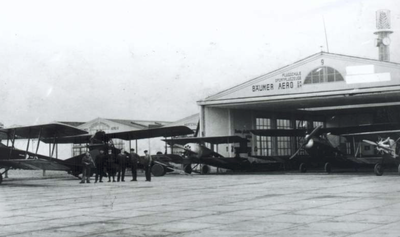 Bäumer offered the brothers, Mertens, and Meyer-Cassel jobs with his company Bäumer Aero in Berlin. 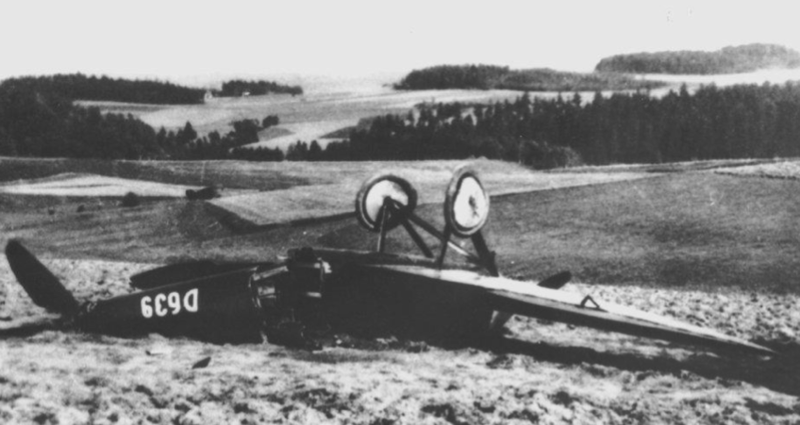 There they began designing motor gliders and then increasingly fast sports planes, including one in which Bäumer himself was killed in a crash in 1928. By 1925 Siegfried had designed first "Buzzing Wind" airplane for the Deutscher Rundflug 1925 competition, which featured the first elliptic design based on Prandtl's 1918 theory. On 16 January 1931, Ernst Heinkel recruited Siegfried Günter to work for his Heinkel company in Rostock, and Walter joined the company on 31 July 1931, where he was in charge of developing low and high-spee wind tunnels. There they were to design some of the most important and famous designs associated with the company, including the Heinkel He 51, He 70, He 112, He 100, and the He 111. Walter designed the first ever retractable landing gear in Germany for the He 70, an aircraft mainly designed by Siegfried. 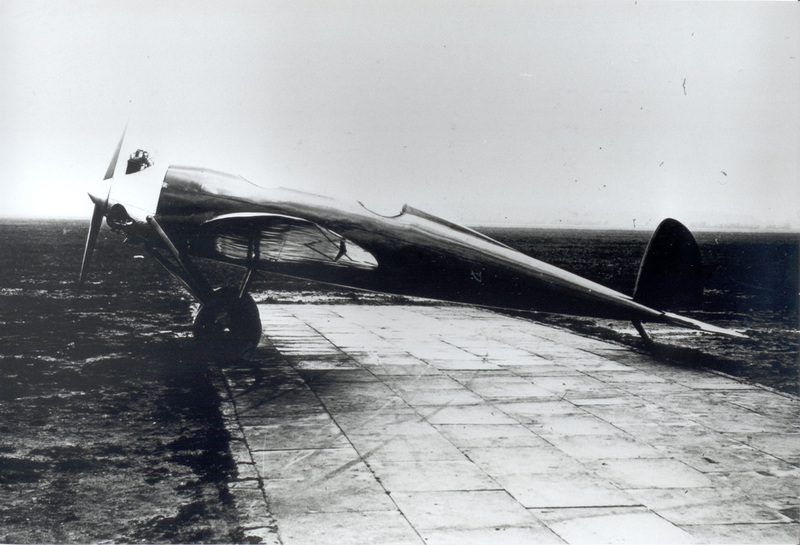 Through their introduction of the elliptical wing-planform, their designs set officially recognized speed records. Lufthansa purchased the He 70, nicknaming it the Heinkel-Blitz (blitz means "lightning"), and instituted "blitz" air-routes between Berlin, Cologne, Hamburg, and Frankfurt comparable to today's travel time for the same routes. 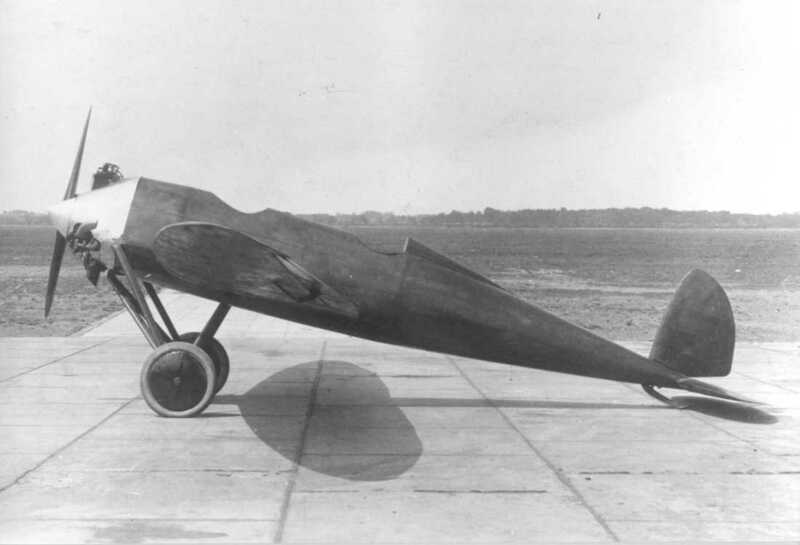 During this time Walter submitted airframe designs for what would become the He 178, a experimental turbojet aircraft, and the experimental He 176 rocket plane, in coordination with Dr Hans von Ohain. 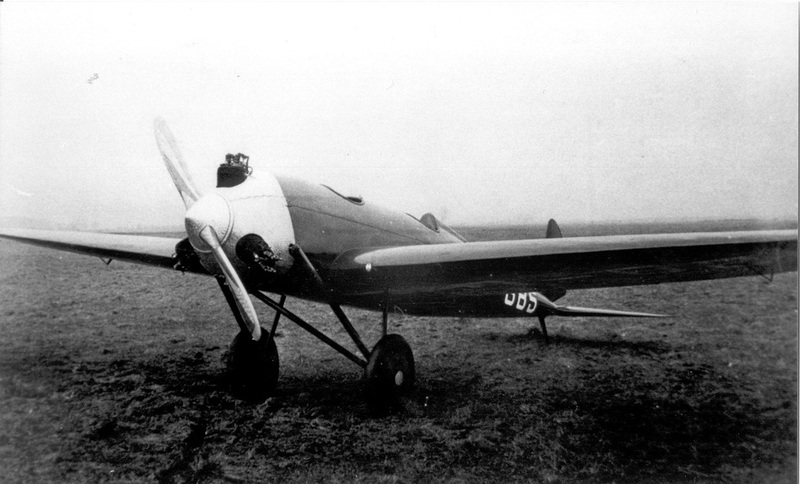 As chief project designer by 1937, Siegfried and his team introduced the He 100D-1 on 25 May 1937. 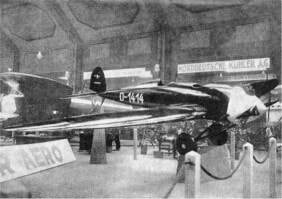 Siegfried would later contribute to the design of the He 219, as well as other prototypes, including the He 177 and He 162. Walter was killed in a car accident on 21 September 1937. After the Second World War Siegfried worked in Berlin in the car shop of his father-in-law. He approached the Allies offering his expertise, which was refused along with his request for asylum, forcing him to return to the Soviet sector. 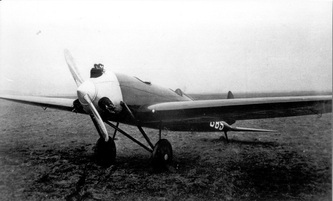 In 1948 he was taken to the Soviet Union by USSR agents where he worked on Soviet aircraft designs. In July 1954 Siegfried returned to East Germany. 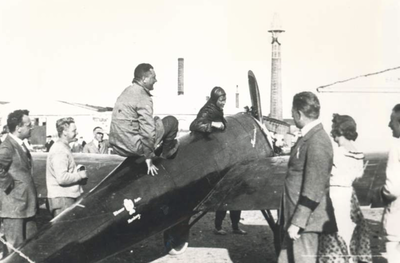 In 1957 Siegfried went to West Germany, where he again joined the Heinkel works. 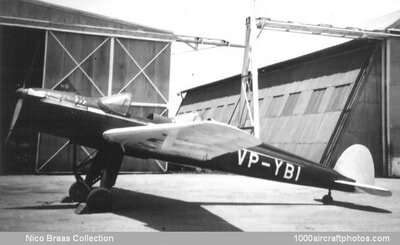 He was involved in the construction of the EWR VJ 101, the world's first supersonic V/STOL-aircraft and the V/STOL transport aircraft VC 400. Both were experimental designs and never saw serial production. 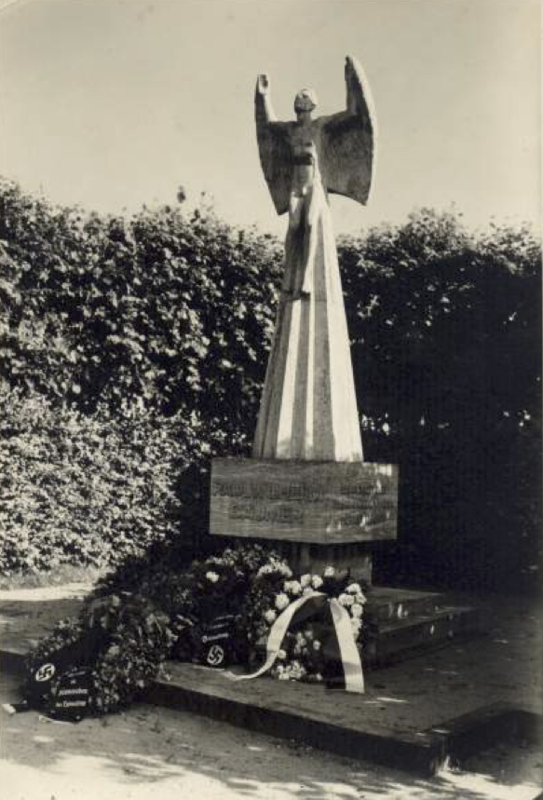 Siegfried died in Berlin on 20 June 1969. 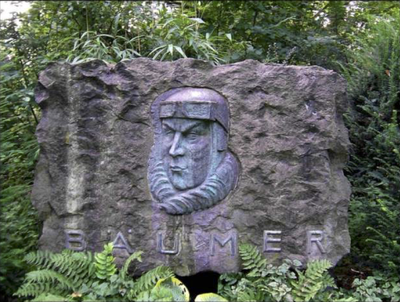 ​Bäumer was born on 11 May 1896 in Duisburg, Germany. 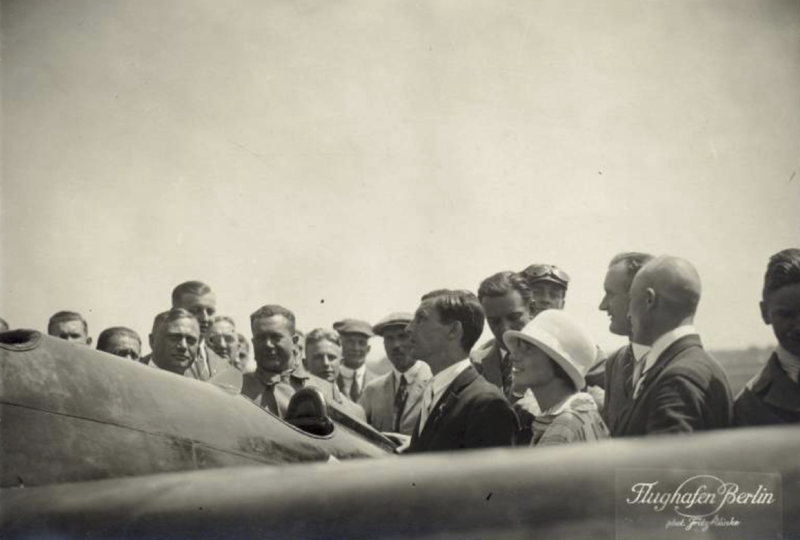 He was a dental assistant before World War I, and earned a private pilot's license by Summer 1914. 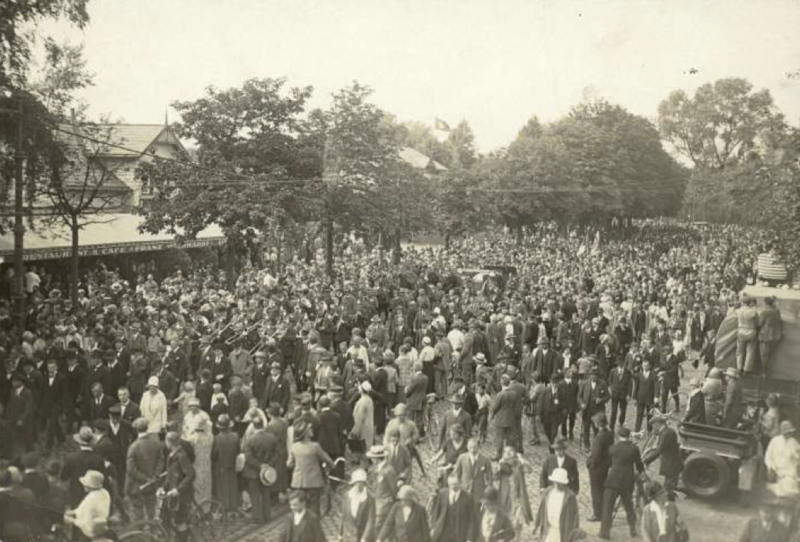 At the start of the war, he joined the 70th Infantry Regiment. He served in both France and Russia, being wounded in the arm in the latter. 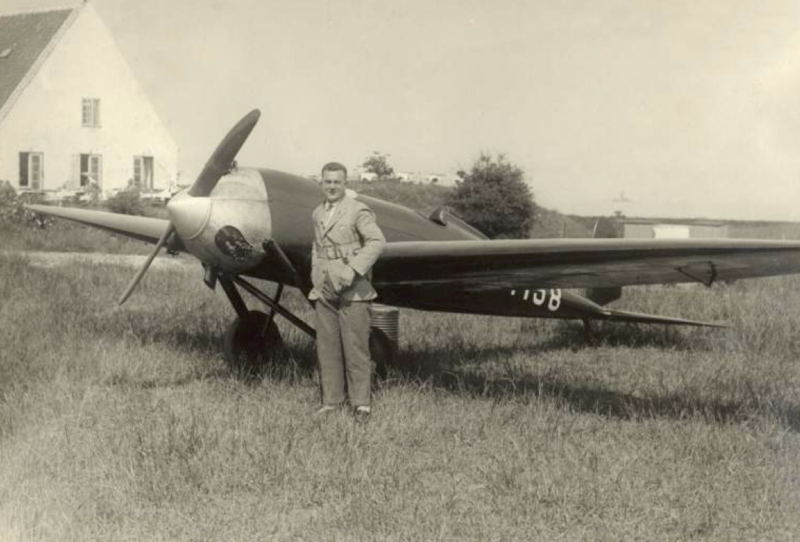 He then transferred to the air service as a dental assistant before being accepted for military pilot training. By October 1916, he was serving as a ferry pilot and instructor at Armee Flugpark 1. 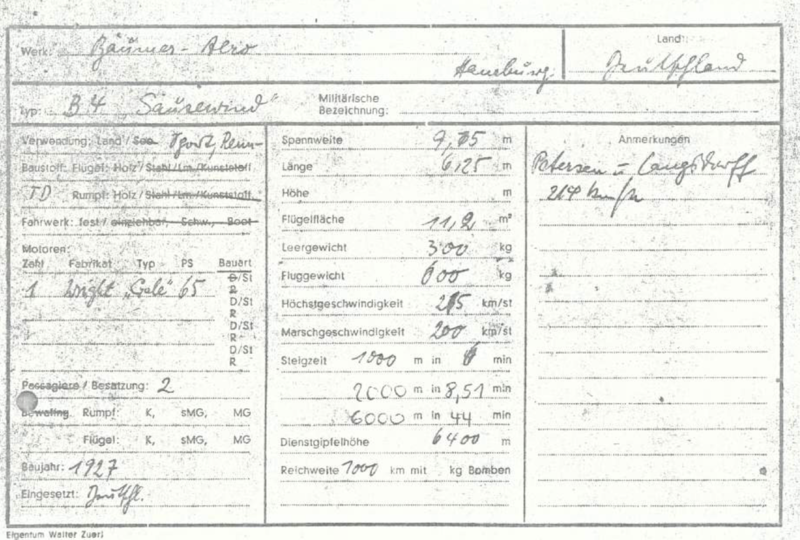 On 19 February 1917, he was promoted to Gefreiter. 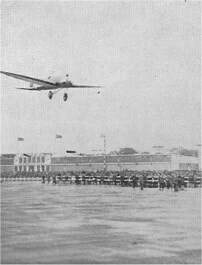 On 26 March, he was assigned to Flieger Abteilung 7; he was promoted to Unteroffizier on the 29th. On 15 May 1917, he was awarded the Iron Cross Second Class. He subsequently received training on single-seaters, consequently being posted to fighter duty. 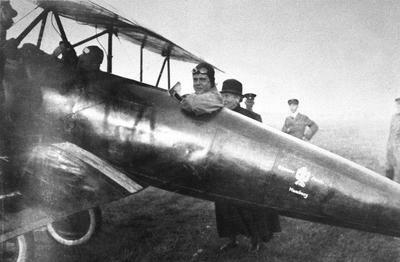 Bäumer joined Jagdstaffel 5 on 30 June 1917, scoring three victories as a balloon buster in mid-July before going to the elite Jasta Boelcke. 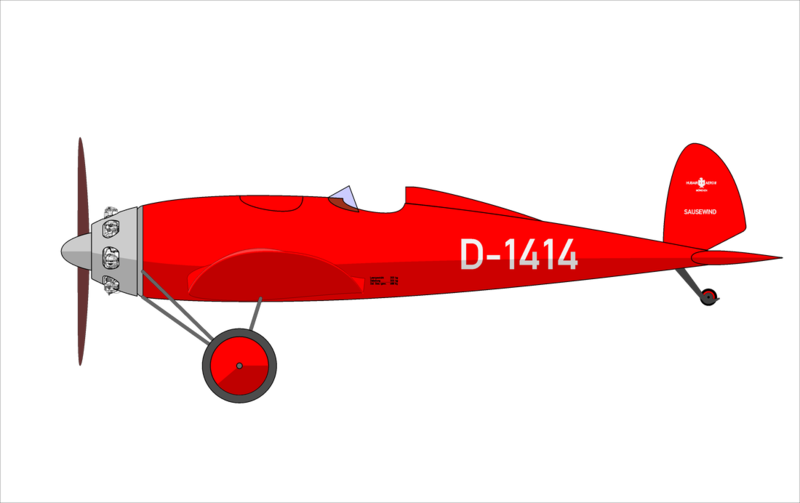 Bäumer claimed heavily, reaching 18 victories by year end. He was commissioned in April 1918. 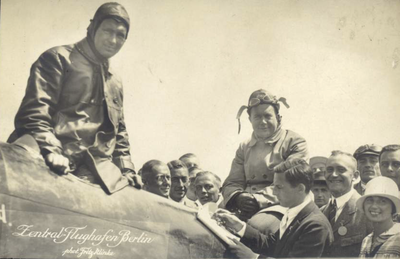 On 29 May Bäumer was injured in a crash, breaking his jaw, and he returned to the Jasta in September. With the arrival of the Fokker D.VII he claimed even more success, including 16 in September. 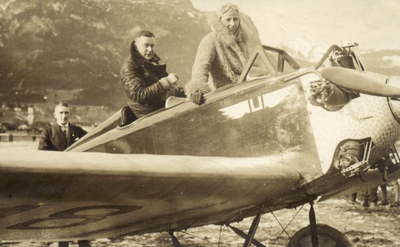 Nicknamed "The Iron Eagle", he flew with a personal emblem of an Edelweiss on his aircraft. He was one of the few pilots in World War I whose lives were saved by parachute deployment, when he was shot down in flames in September. He received the Pour le Mérite shortly before the Armistice and was finally credited with 43 victories, ranking ninth among German aces. 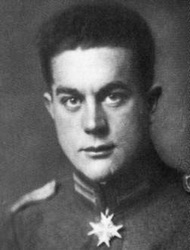 After the war, Bäumer worked briefly in the dockyards before he became a dentist, and reportedly one of his patients, Erich Maria Remarque, used Bäumer's name for the protagonist of his antiwar novel All Quiet on the Western Front. 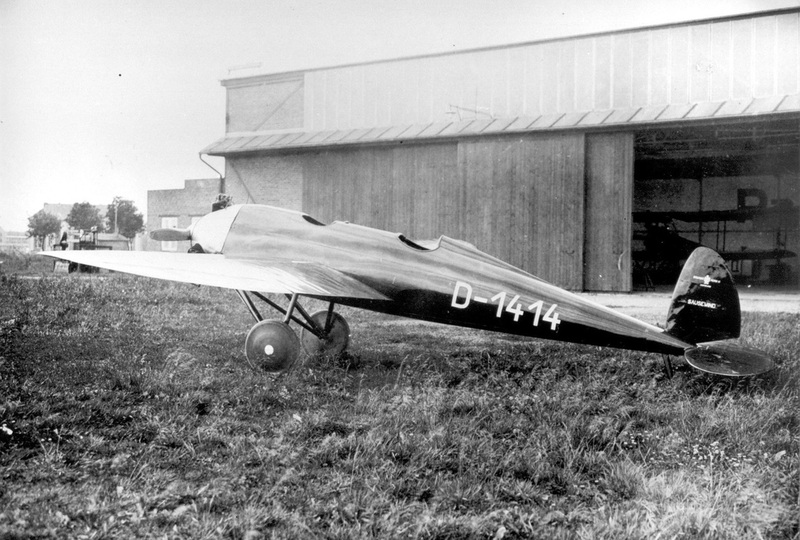 Continuing his interest in flying, he founded his own aircraft company in Hamburg. 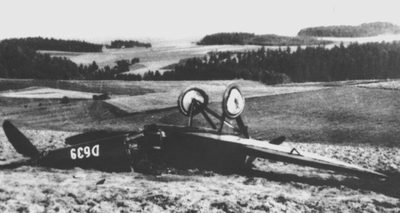 Bäumer died in an air crash at Copenhagen on 15 July 1927, age 31, while test flying a Rohrbach Ro IX fighter. 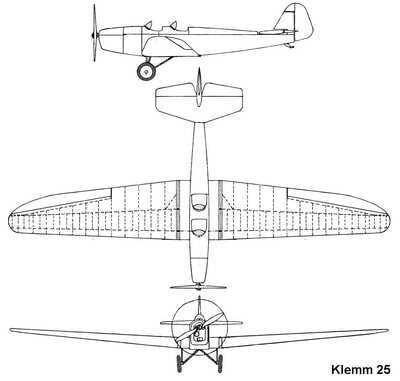 "Bäumer »Sausewind« (links) und Heinkel HE 64 (rechts) – die Familienähnlichkeit ist unverkennbar. 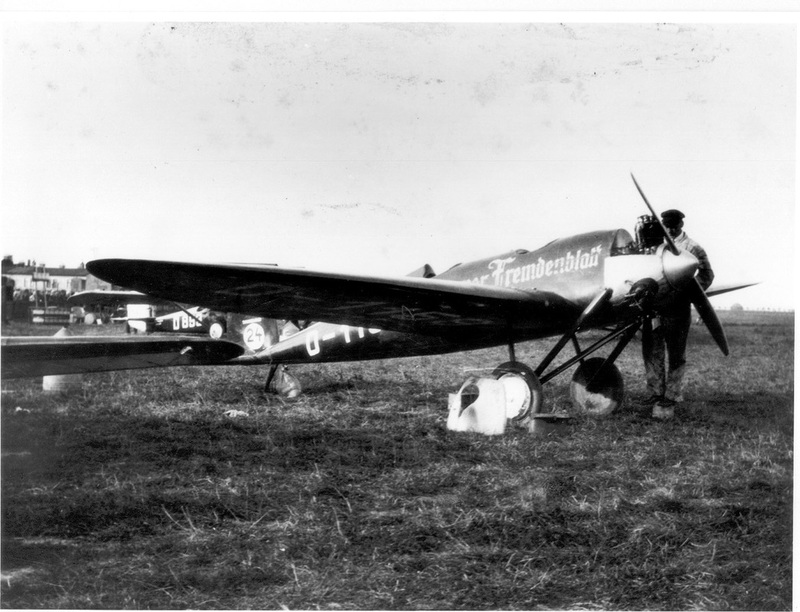 1932 kam mit dem Wechsel von Walter und Siegfried Günter zu den Ernst- Heinkel-Flugzeugwerken neuer Wind – Sausewind – in das Rostocker Entwurfsbüro." 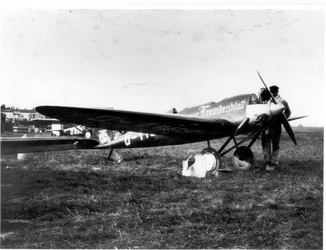 Bäumer »Sausewind« (left) und Heinkel HE 64 (right) – the family resemblance is hard to overlook.The transfer of Walter and Siegfried Günter to the Ernst-Heinkel-Flugzeugwerke (Aircraft Works) in 1932 brought a fresh breeze - the "Sausewind" - to the design office in Rostock. 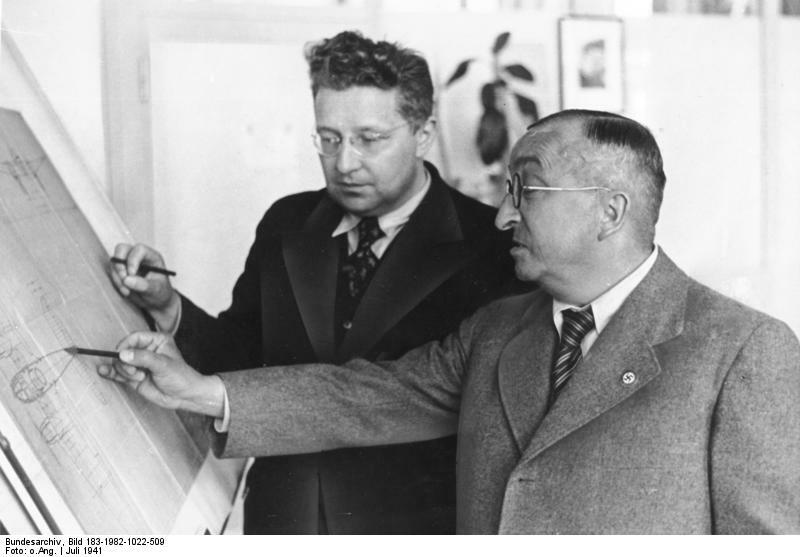 "Walter Günter, Walter Mertens und Werner Meyer-Cassel war mit dem Bäumer »Sausewind« ein ganz großer Wurf gelungen. Leistungsmäßig fast allen damaligen Flugzeugen – selbst mit doppelter oder dreifacher Motorstärke – überlegen, hätte die Maschine eigentlich den Flugzeugbau in Deutschland befruchten sollen. Ein solcher Einfluß ist aber ausgeblieben, so unverständlich es aus heutiger Sicht auch erscheinen mag.In Fachkreisen beschäftigte man sich zwar eingehend mit der fortschrittlichen Konstruktion, bestaunte die gute aero- dynamische Durchbildung der Zelle und die hervorragenden Leistungen, aber kein Flugzeughersteller hielt es für nötig, dem Beispiel des »Sausewind« zu folgen. 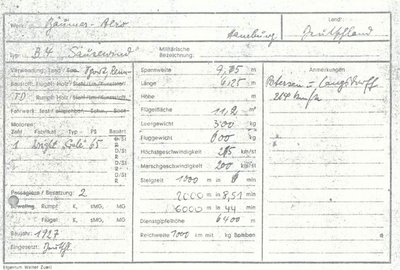 Es dauerte noch mehrere Jahre, bis mit der Raab-Katzenstein RK 25, der BFW M 23 b und der Klemm L 26 die ersten vergleichbaren Muster erschienen. 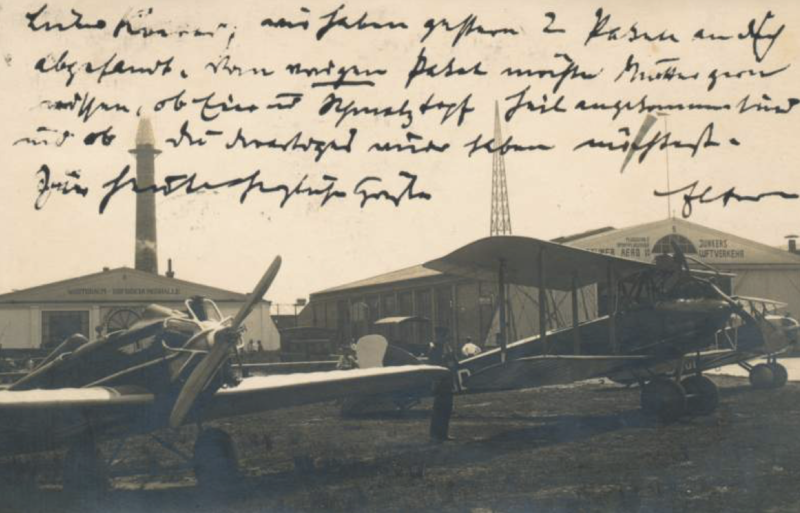 Auch der Verkauf von Flugzeugen des Typs »Sausewind« ließ zu wünschen übrig. Hier spielte wohl eine wichtige Rolle, daß der größte Teil der damaligen Sportflieger aus ehemaligen Militärpiloten bestand, die den altbewährten Doppeldecker vorzogen. 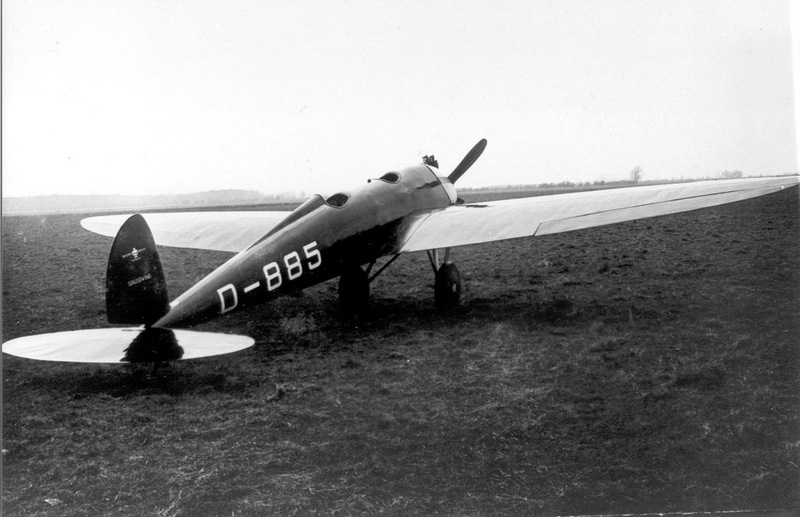 Maschinen wie die Dietrich DP II a verkauften sich sehr gut, und alte Kriegsmuster wie die Albatros B II, LVG B Ill oder LVG C VI wurden Mitte der 20er Jahre sogar noch neu aufgelegt! Dem aerodynamisch hochwertigen Tiefdecker stand die Masse der Flieger noch recht mißtrauisch gegenüber. Gutmütige Flugeigenschaften, bequeme Unterbringung der Insassen und niedrige Landegeschwindigkeit waren mehr gefragt als absolute Spitzenwerte hinsichtlich Geschwindigkeit, Steigleistung oder Gipfelhöhe. 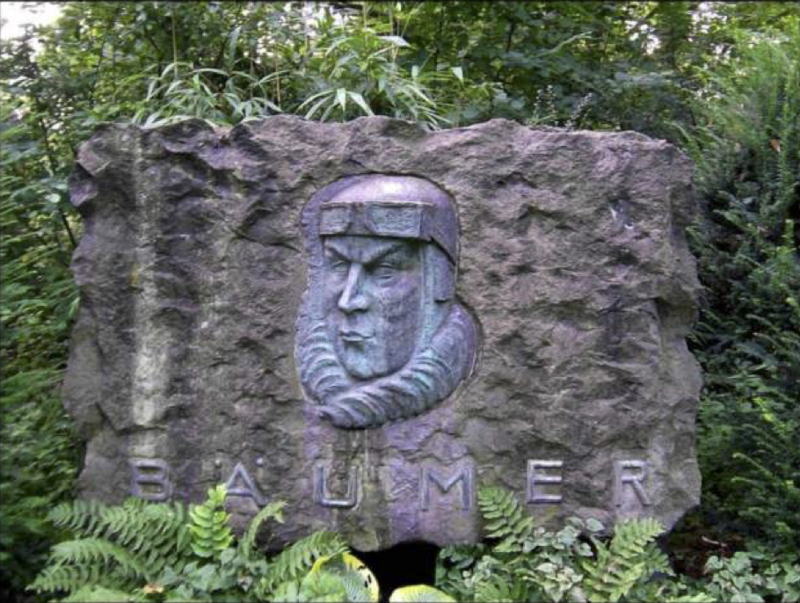 "Walter Günter, Walter Mertens and Werner Meyer-Cassel certainly landed a major coup with the Bäumer »Sausewind«. 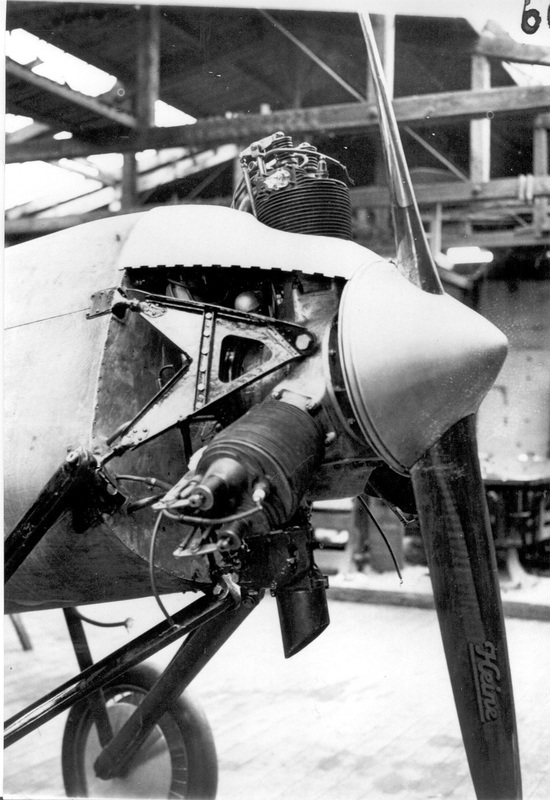 The aircraft had superior performance parameters to almost any aircraft of that time - even those with double or triple the installed power - and should have energized aircraft design in Germany. The expected influence, however, did not materialize as improbable as this may seem from today's point of view. 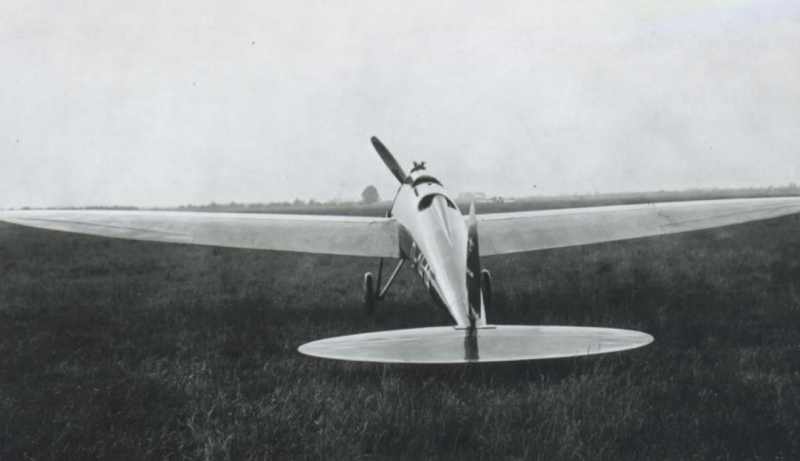 Professionally, the advanced structure was a major point of interest, the aerodynamic cleanliness of the airframe and the unusual performance were viewed with amazement, but no manufacturer saw it fit to follow the example set by the »Sausewind«. 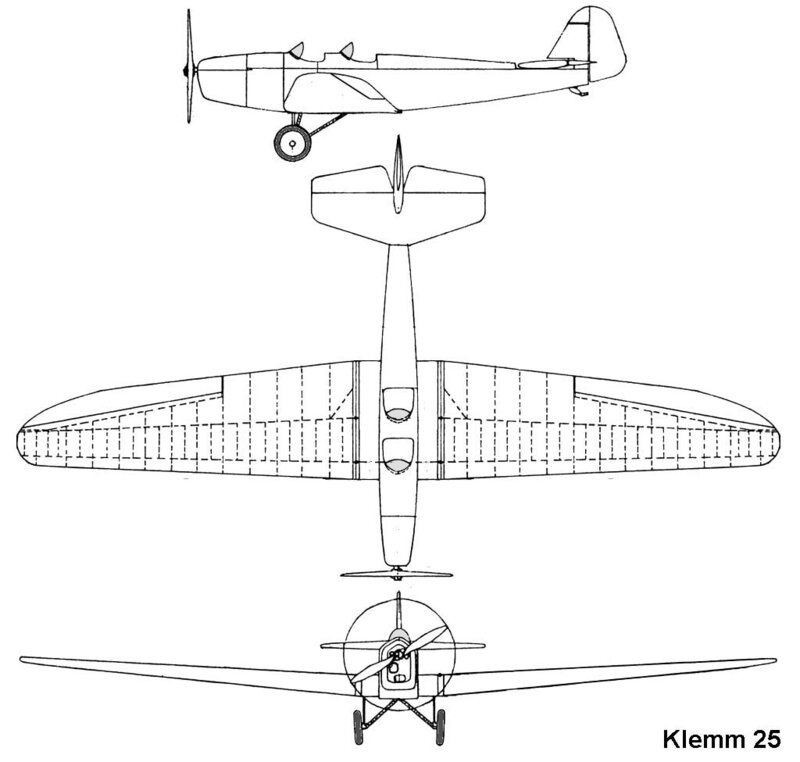 Several years had to pass, before comparable types, such as the Raab-Katzenstein RK 25, the BFW M 23 b and the Klemm L 26 followed. Sales of the »Sausewind« were unsatisfactory. 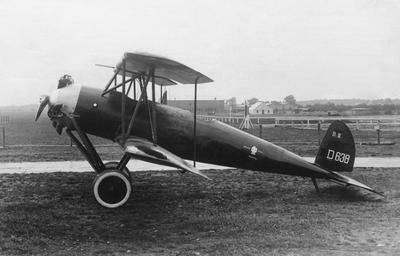 An important factor can be seen in the fact that most sport pilots of the time were ex-military aviators who preferred the trusty biplane. 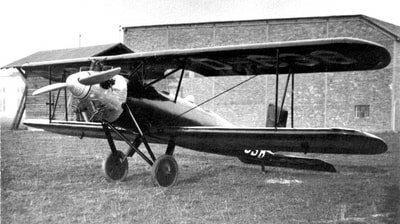 Aircraft such as the Dietrich DP IIa sold well, and ex-military types such as the Albatros B II, LVG B Ill or LVG C VI were actually newly built in the middle of the 20ies! 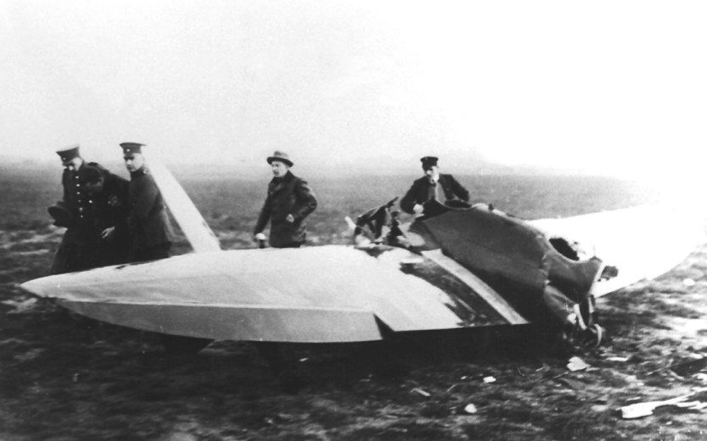 The aerodynamically clean low-wing aircraft was eyed with mistrust by the average flyer. 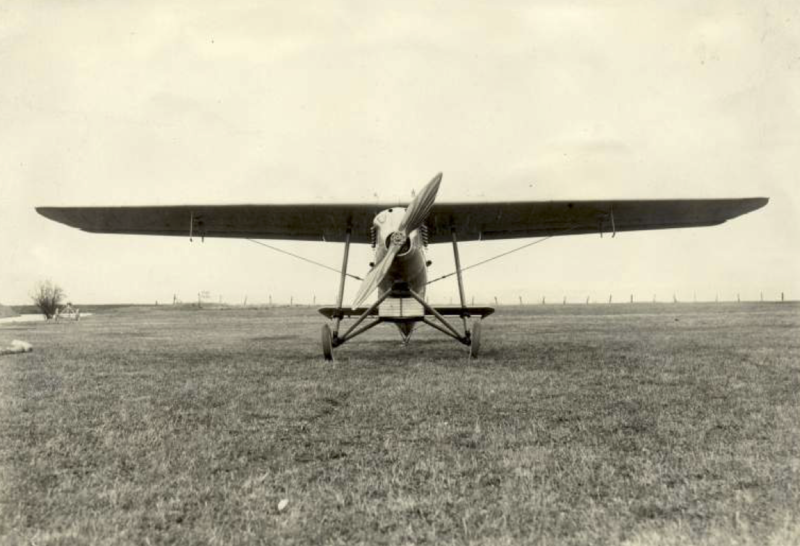 Docile handling qualities, ​comfortable accommodations for passengers and low landing speeds were under greater demand than top performance with regards to speed, climb and maximum altitude. 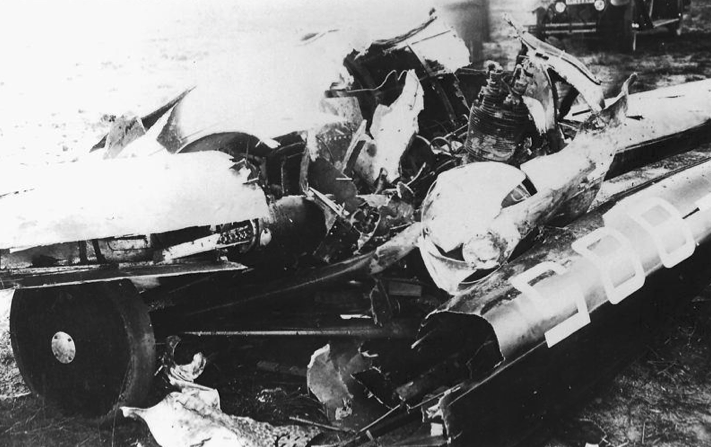 Der »Sausewind« war zweifelslos ein Markstein in der Geschichte des deutschen Flugzeugbaus, jedoch in seiner Auslegung etwas zu kompromißlos und seiner Zeit etwas zu weit voraus." 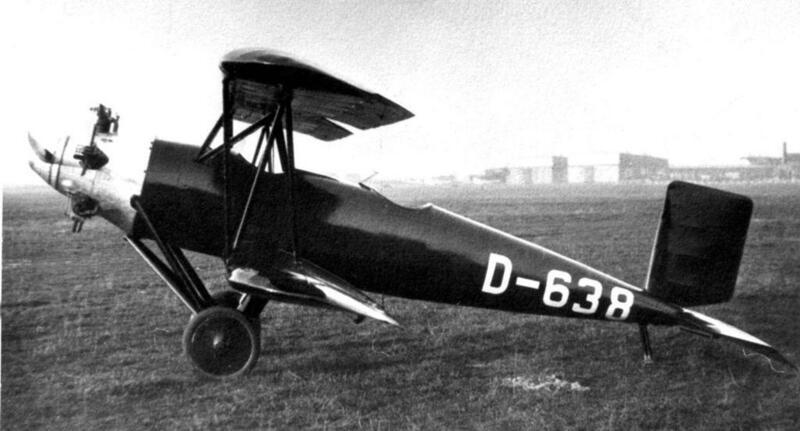 The "Sausewind" certainly was a milestone in the history of German aircraft design. 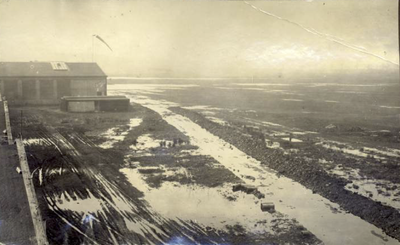 It was, however, to uncompromising and a litttle too far ahead of its time." Cold-molded plywood monocoque was the most modern material/methodology available to Günther/Bäumer - it was the composite material of the day. Today's equivalent is carbon fibre, so that's what it will be. 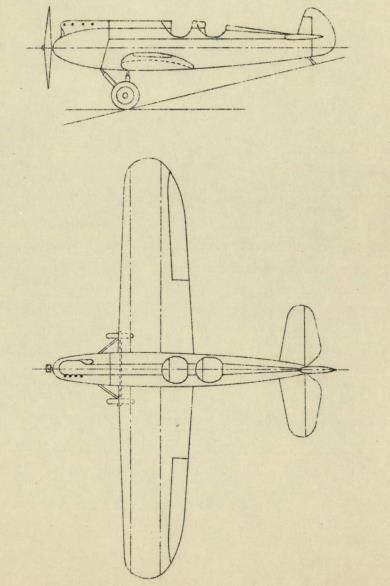 True to all principal dimensions, although a little more curved on the top-side around the forward cockpit for added esthetics and cockpit space. 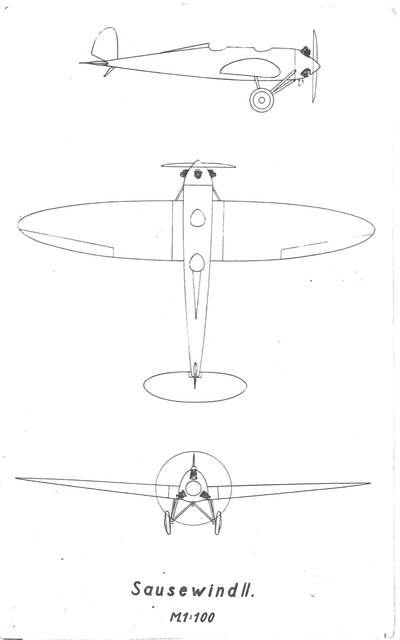 Identical planform, however modified to a gull wing. 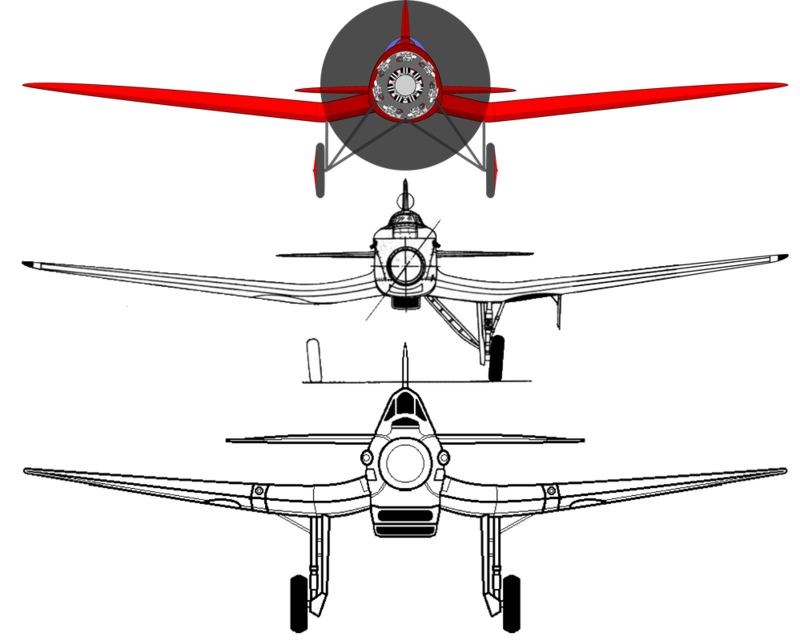 The Günter's subsequent designs (He70, He112) had gull wings due to assumed improved interference drag. 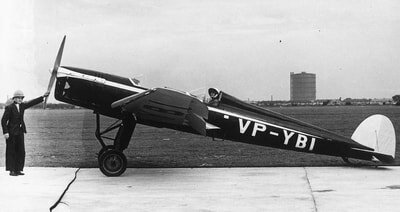 This is the only "hats off" to their professional future and is what they might have done for aerodynamic refinement, had they built the B IVb SAUSEWIND IV. It will fit nicely in the upcoming 600kg European Ultralight category. 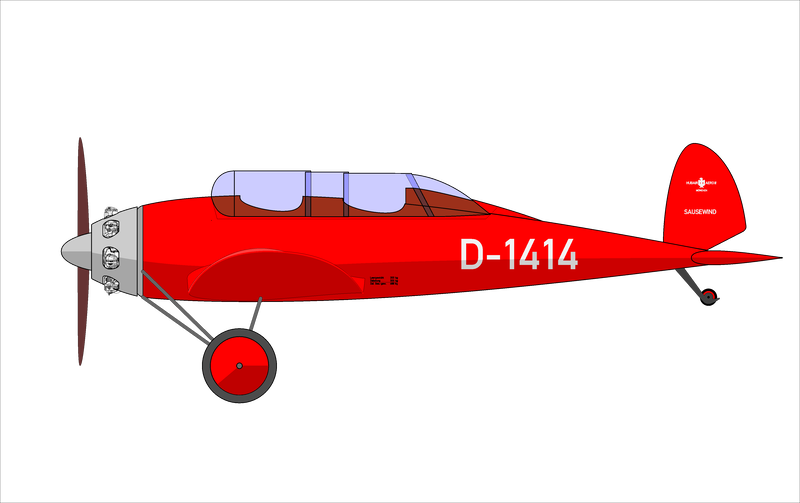 For aerobatics it may have to be certified as a Part 23 experimental. 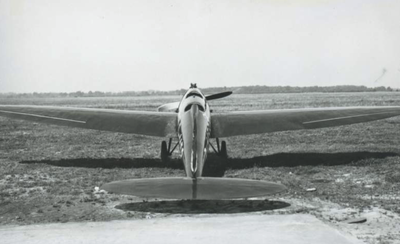 This aicraft should weigh the same or less than the original. It will have almost twice the horsepower with a more efficient propeller, so top speed could be more than 300 km/h or 160 knots (185 mph, for my friend Kent). With oxygen, flight up to 20.000ft should be possible. The great majority of data and information on this page is taken from a variety of sources, such as books and magazine articles. With very few exceptions data were not independently researched and verified by me. In a number of cases I found conflicting data and quoted those that appeared to be more logical or consistent to me. 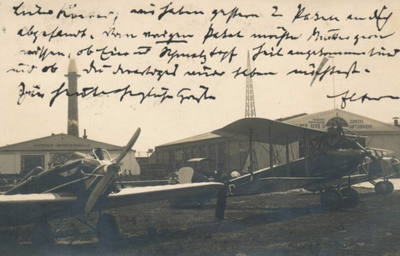 With the exception of the archive at the Deutsches Museum I have not consulted historical archives or official data. The purpose in publishing information here is to generate an overall picture of and interest in the Sausewind and its creators. Scientific research would be much welcomed by me but is not the original intent of this page. Should graphics, photos or images in this page appear here without the owner's permission I am willing to remove them immediately or name sources as the owner would require. Please notify me at mail@hubair.aero. Some of the photos on this page are published under creative commons licenses. 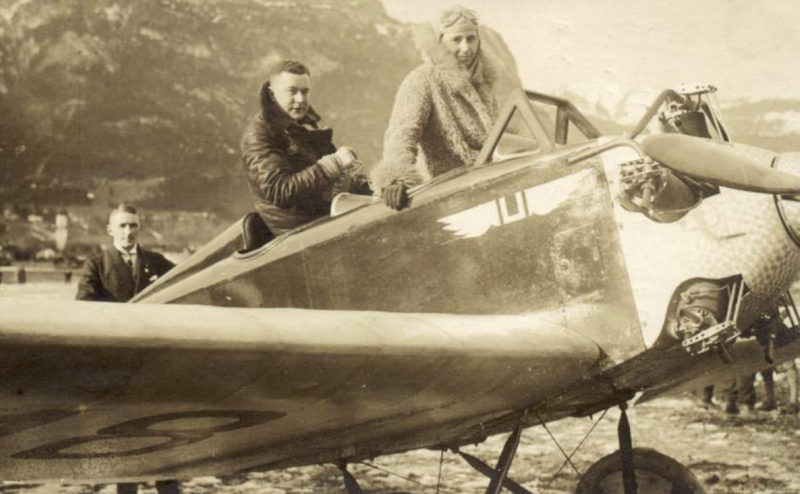 Among the contributing archives: ETH-Bibliothek of ETH. 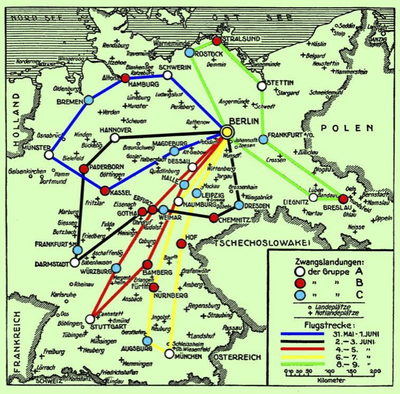 Should you have additional information on the Bäumer "Sausewind", I would be very happy to publish it here.